Due to the ever-increasing usage of mobile phones throughout the day, consumers frequently complain over short battery life of mobile devices. As power is lost just when really needed, easy to carry and compact battery boosters are the ultimate solution providers. To bring about a solution to this, there has been a growing demand for Powerbanks – an on the go charger for your phone. We bring you a list of top five Powerbanks that strike a perfect balance between price, portability and capacity. If you are looking for a slim power bank that you can slip into your pocket or carry with you in your wallet, look no further, LatestOne.com, brings you PTron Gusto, the slimmest pocket sized power bank with a capacity of 3000mAh. 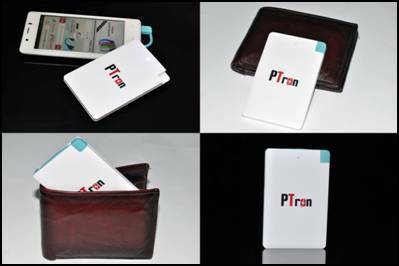 PTron Gusto can be used to charge mobile phones, tablets, Bluetooth headsets MP3 players and cameras. 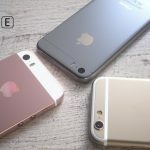 It can fully charge an iPhone 6s within 1.5 hours and Galaxy S5 within 3 hours. This power bank also comes with a built-in micro USB cable and embedded connector for all android & iOS smartphones and tablets. 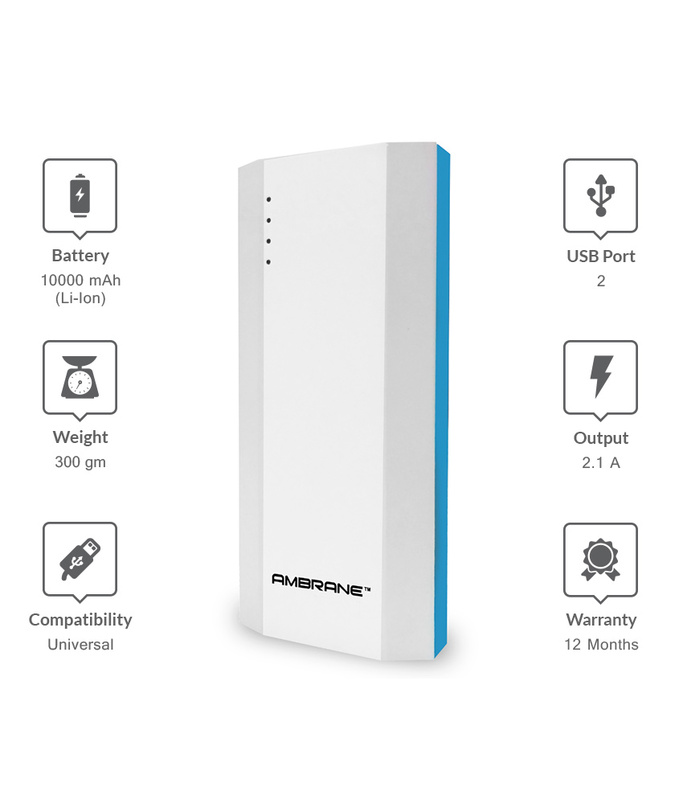 The Ambrane power bank comes with a good battery capacity of close to 10,000 mAh, which is more than enough to charge at least two devices fully. The battery type is APB Li-Ion cells. The power bank weighs a mere 300 grams and can be carried around easily. The bank has an efficiency rate of up to 75% and can be a very useful and functional purchase. The Ambrane P-1111 power bank charger has a dual output option of 2.1A and 5V and a single input option of 5V and 1A. It also has a charging time of 12-13 hours and is rechargeable. One can plug in their devices and let it charge. There is also a 1 year warranty that is available and a user manual for one to use. Ergonomically designed, the PowerXcel 11000 mAh is a portable device with a stylish and sleek body. The Power button, indicator lights and flashlight are placed conveniently. 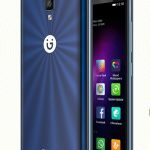 It charges all smartphones and tablets from Apple, HTC, Google, Android, Microsoft, Blackberry as well as Digital Cameras and handheld gaming devices. Powerank can charge 2 devices at the same time. It has an Output of 3.1 A max; with 2.1A, 1A outputs respectively. The 2.1A can charge your Tabs and gives your mobile devices a really quick charge. It also comes with a very handy built-in LED flashlight. Double click the power button to switch on / Off the LED flashlight. 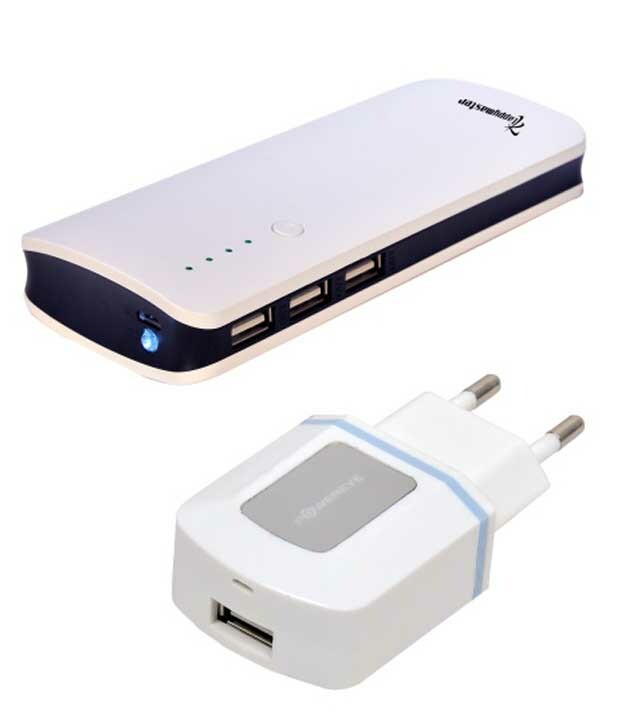 Lappymaster 11000mAh Power Bank is a high quality product manufactured by using best quality components and parts including high capacity original A grade Lithium – Ion Cell. 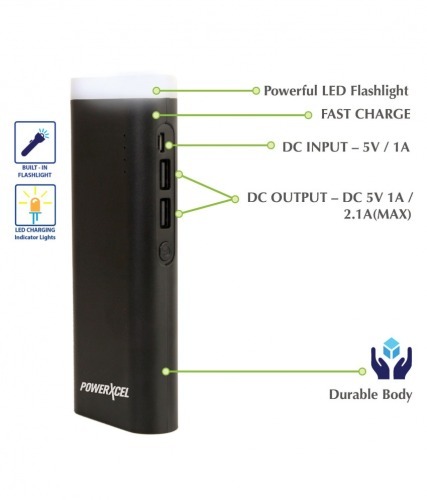 This Power Bank supports various models of smart phones manufactured by various companies including Samsung, Sony, Microsoft etc. Some of the important features of this power bank are: Works for longer hours and can charge mobile multiple times faster. Lappymaster Powerbank has three USB output port, can charge three phones together at the same time. Lappymaster Powerbank comes with Top Quality Cell, Electricity Saving Function. It also has a battery indication feature with Four LED lights for battery level indication (25%, 50%, 75%, and 100%). 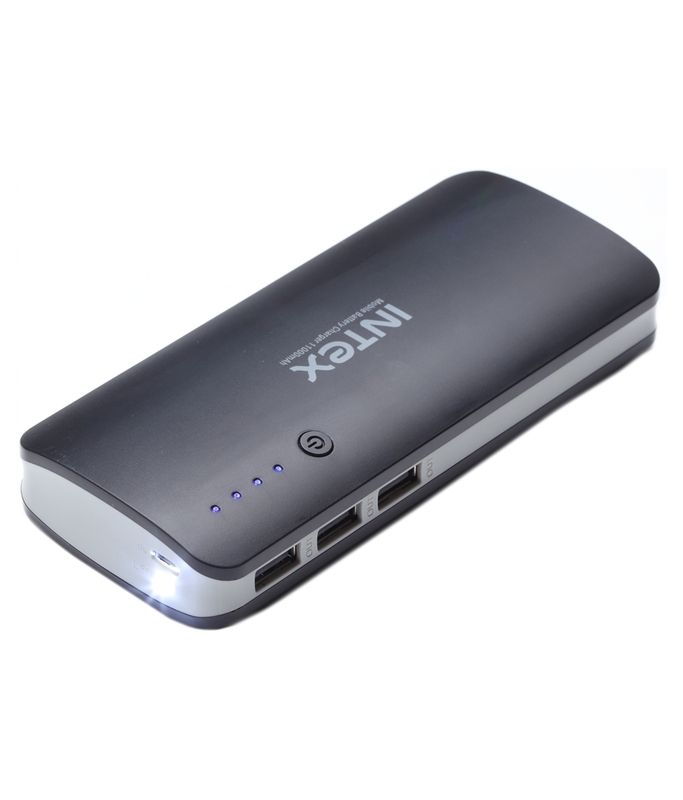 Intex IT Powerbank is a smart choice for your Powerbankpurchase. A power packed 11000 mAh Powerbank to back you up just right. It comes with three USB 2.0 ports to charge multiple devices and charges your smartphone, tablets and devices on the go.